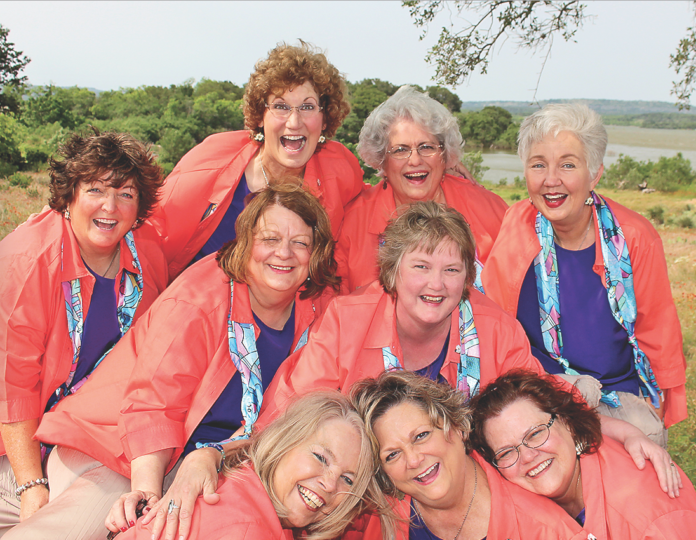 The Steel Magnolias from San Marcos, Texas, will stop in Natchitoches to present a fully choreographed, Southern Gospel music concert at the Christian Harmony Baptist Church Saturday, Jan. 13 at 10 a.m. The ladies singing troupe will sing at the “Night of Praise Festival” Friday, Jan. 12 in Shreveport and will then travel south to Port Arthur, Texas, where they recently helped with disaster relief from Hurricane Harvey. After the concert in Natchitoches, they will present another concert that night and again Sunday, Jan 14 in Nederland, Texas. The Steel Magnolias have sung throughout the United States for the past 12 years. They’ve been along the east coast twice. One of their recent tours was 16-days traveling as far north as Niagara Falls, singing 43 times through 15 states, covering 4600 miles. They have presented 13 “Flash Mobs,” including New York City at Radio City Music Hall, Rockefeller Center, Times Square, Liberty Island Ferry, the new One World Trade Center and was invited to sing at the Billy Graham Library and Samaritan’s Purse in North Carolina. One of their favorite highlights was to sing at the Calhoun County Jail in Anniston, Ala., where they were featured on the Birmingham News Station WEAC TV 24. On that tour, the ladies presented five concerts at a three-day Virginia Beach Gospel Music Festival in Virginia Beach, Va. The group presents almost 150 volunteer concerts a year. Pastor David Matlock and the congregation of Christian Harmony Baptist Church, 2019 Hwy. 1226, Natchitoches, invite the public to hear The Steel Magnolias present the music program Saturday morning. For more information, call the church office at (318) 352-6353, Debbie Daniel at (512) 757-4901 or visit www.thesteelmagnolias.com to see The Steel Magnolia concert schedule and www.facebook.com/thesteelmagnoliastx to find out more about the ministry. Previous articlePet Talk: Does your horse need extra care this winter?